After a period in which British brands preferred showing abroad they’ve now come back to London. 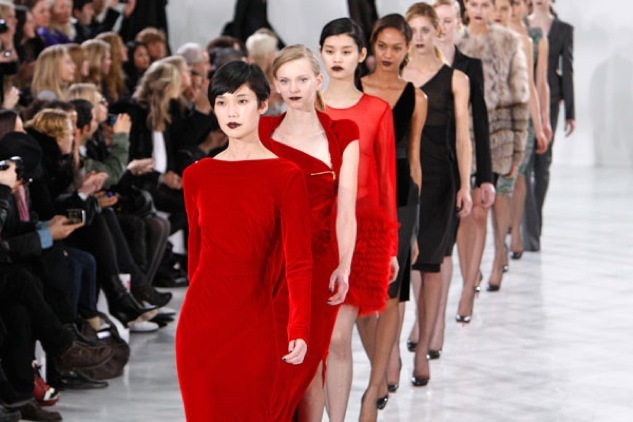 The city’s fashion week celebrated it’s 25th anniversary last year and is again a popular fashion town. Some of the best British labels have returned to the London catwalks, including Burberry, Pringle, Matthew Williamson, Antonio Berardi, Jonathan Saunders and Clements Ribeiro. Luckily for London, cause Burberry and Williamson were surely two of our London Fashion Week highlights. 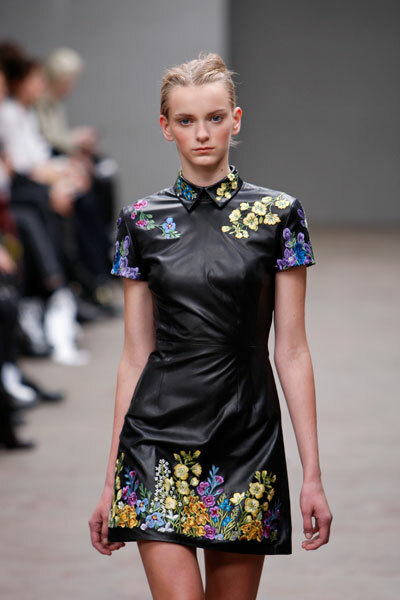 With the fall collection Christopher Kane presented he is bound to win another Collection of the Year award. 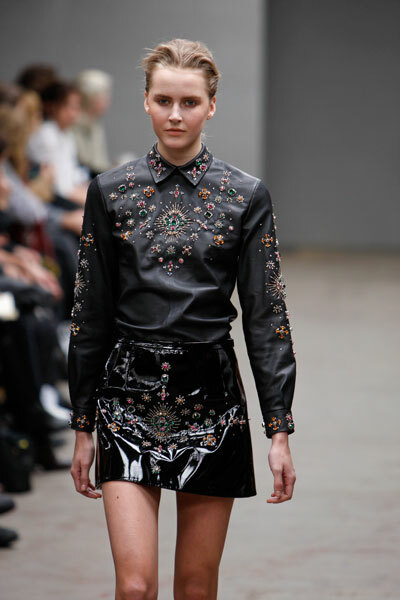 The designer used black lace and leather embroidered (by hand!) with floral patterns. A crazy combination, at first sight, but after a few looks we started to like it. The skirts and dresses meant for young women were short like always, but never looked sleazy. Kane worked some Priscilla Presley looks into his collection as well. ‘From the time before Elvis got her hands on her’, he said. Even though Christopher Kane and his sister Tammy are only running the label for four years they’ve already achieved a lot. And we’re sure there’s much more to come. Now let’s just hope he won’t be taking too many extra design job like the ones for Versus and Topshop, cause he already has his hands full right now. Another successful British designer who is fully booked is Christopher Bailey, creative director for Burberry. Bailey oversees some 60 different men’s and women’s collections each year, including the Prorsum, Brit, London and Sport labels, plus children’s wear, denim, underwear, fragrances, home-wear and all the accessories. Plus he’s responsible for the design of the Burberry shops. But that doesn’t influence the great collections he delivers. His work even tends to get better. 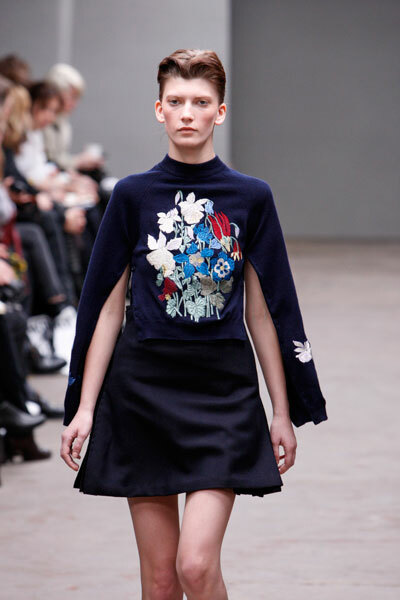 The womenswear collection for next fall was a highlight of the London Fashion Week. Not only was it the first show to be watched live in 3D, people could even buy the designs as they came down the runway by simply clicking the ‘Click to buy’ button. 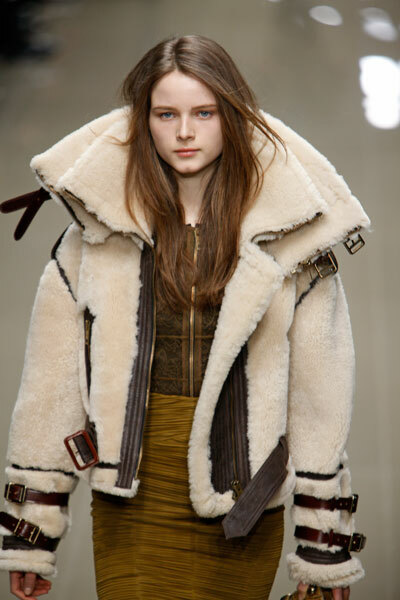 And there sure was a lot to love, the coats being the public’s favourite. They came by with military accents and in aviator style, shear ling lined with double collars. So the Burberry show was trendsetting in two ways: (1) The military coats will be a success next year (2) Other labels will soon broadcast their shows in 3D and will let their customers buy their clothes straight from the show as well. Just wait and see. A show we would have loved to see in 3D was that of Matthew Williamson. Although the man is known for designing bright young things for, well.., bright young things his fall collection seemed a little more grown up. Of course there were the multicolored mini-dresses but Williamson also experimented with a more mature look. We liked it. Romantic ruffles and drapery were seen on his sophisticated dresses. He used beautiful colors from icy grey and blue to warm shades of fuchsia, peach, orange and red. Colorful prints and sparkles gave the collection it’s Williamson-twist. We loved the designs, the colors and the more grown up look. The dresses we’re maybe a bit too dull for his on-and-off girlfriend Lady Gaga, but they are still perfect for his other young customers, like Sienna Miller and Jade Jagger. 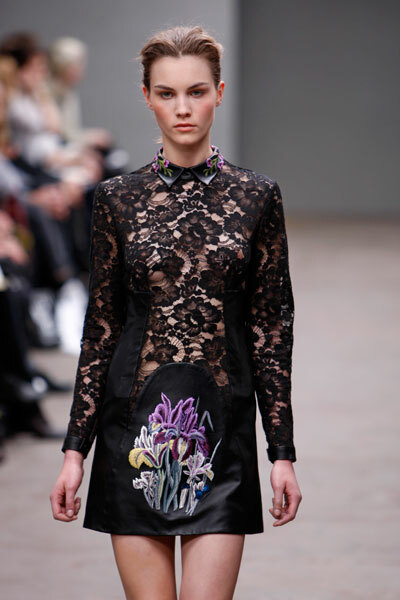 The best of London Fashion Week FW2010 | Team Peter Stigter … | all in a frenzy!